Established in 2003, we are dedicated to providing a professional service which not only enhances your vehicle but also protects the appearance of your vehicle. Our experienced and friendly staff will arrive at your chosen location and will only require access to your car, our vehicles carry their own power and water as well as all the materials required. 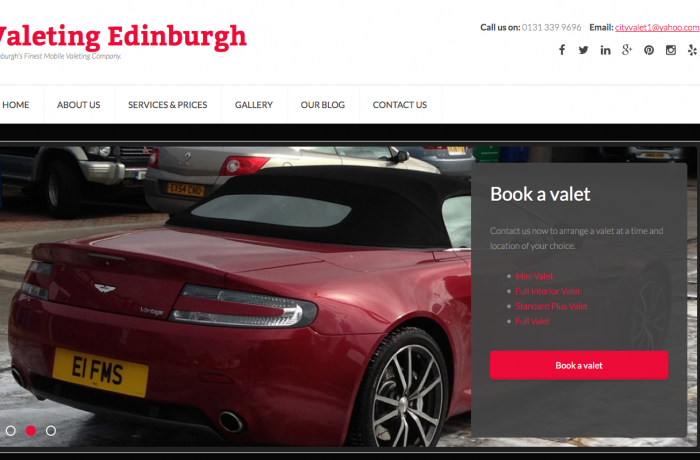 Covering Edinburgh and the Lothians we offer a fully insured service second to none and whichever level of service you choose City Valet guarantee your car will be left in 1st class condition.